According to industry sources on March 12, Hyundai Motor Group, the world's fifth-largest automotive group, has recently adopted Google's Android Auto and Apple’s CarPlay systems, and it also plans to increase car models featuring Android Auto and CarPlay and expanding the technology application of vehicle infotainment systems in the future. Hyundai Motor has offered Google's Android Auto system in the 2016 Sonata model, which was released in the North American market in May last year, and both Apple’s CarPlay and Google's Android Auto systems in the 2017 Elantra, named Avante in Korea, in January this year. 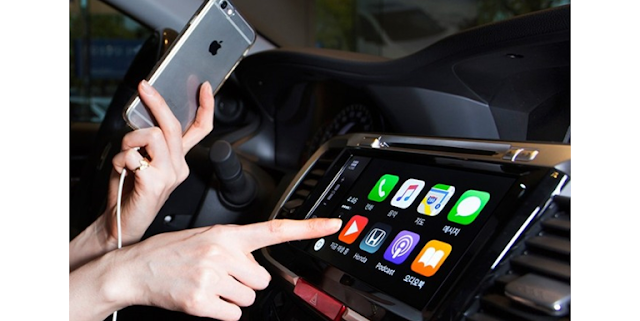 Apple’s CarPlay and Google's Android Auto are integrated programs that connect iPhone and Android smartphone apps to the vehicle's infotainment system, enabling drivers to easily use their major functions through Siri voice control and a touch screen. In particular, the systems make it easy to use navigation systems, stream music and make phone calls via the vehicle’s digital display so that drivers can focus on driving. With Apple’s CarPlay, drivers can easily operate functions by activating Siri through the steering wheel's voice button and touching the screen with their fingers. Connecting with Apple maps, the system can also predict where drivers most likely want to go using addresses from their email, texts, contacts and calendars, and gives drivers a safe way to call back missed calls, send text messages, listen voice messages while driving. Google’s Android Auto can be used after drivers connecting their smartphones to the vehicles and touching an Android Auto icon on the display. The system also can make phone calls, answer phone calls, and receive and send text messages. In addition, it can stream music, set up the destination, check phone calls and calendar events through voice command. Globally, Apple’s CarPlay is already used or will be used in more than 100 models from 23 auto brands, including Hyundai and Kia Motors, Mercedes-Benz, Audi and Volkswagen. Google’s Android Auto is available in 11 countries, such as the U.S., Germany and the U.K.
Apple’s CarPlay available is also available to owners of the 2016 Sonata, a model with Google’s Android Auto system that was released last year, when they buy an SD card with a new software update. Kia Motors has also offered Google’s Android Auto system in the 2016 All New Optima K5 and the 2016 Sportage, and it will adopt Apple’s CarPlay in its models in the future.